Chorlton is never short of new openings, all with their own twist, this one being no different. 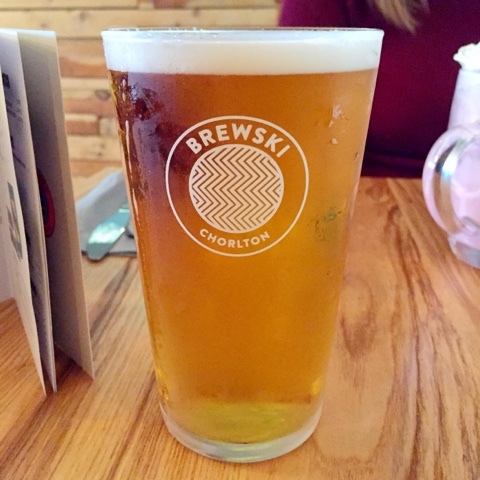 Brewski has replaced a number of short lived venues that have been housed in what used to be Abode on Wilmslow Road, Chorlton, since it closed its doors last year. A Canadian themed bar/eatery, with lots of timber decor lining the walls, it certainly has the appearance of a Chorlton watering hole. On arrival, we were informed that food would be taking about 45 Min’s as they were busy, which was fine as we were also having a drink anyway, I didn’t however expect it to take that 45 Min’s to actually order. It was opening weekend and hopefully service will improve! The menu actually states that you should order at the bar, whilst in contrast we were told it was waiter service, so maybe some rethinking going on there. 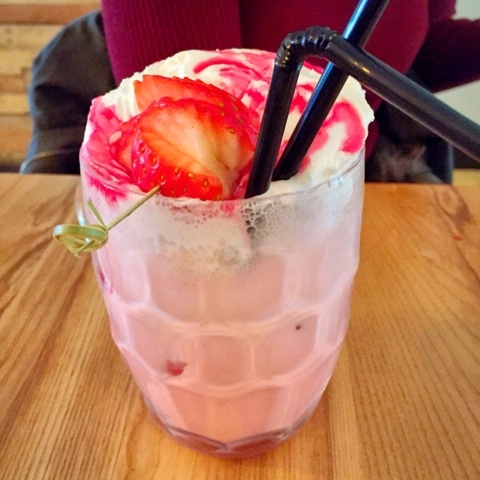 while India opted for a concoction of Vodka, Strawberry and Ice cream.. A meal in itself. 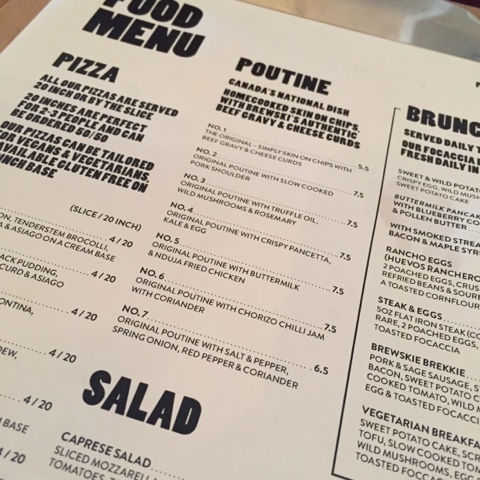 I opted for the ‘Yorkshire Pudding Poutine’ which is a twist on a Sunday Lunch. 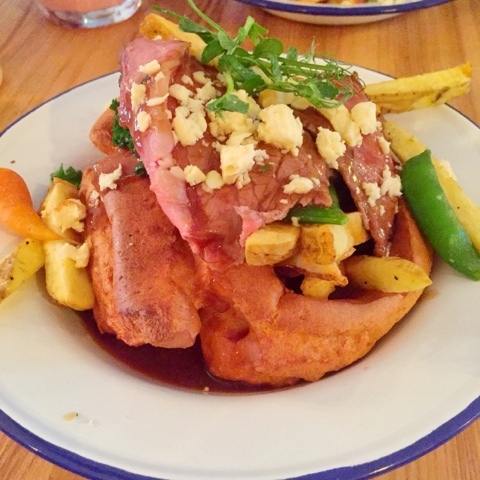 A giant Yorkshire pudding, filled with skin on fries, cheese curd, gravy, a sprinkling of veg (Peas and Beans) and some Roast Beef. I loved the idea of Brewski and the food was good – who won’t love chips and gravy. There should be more of these in Manchester! There’s another branch in Manchester centre. Might give it a go.